We were invited by Konstfack to make a lecture in January 2017. 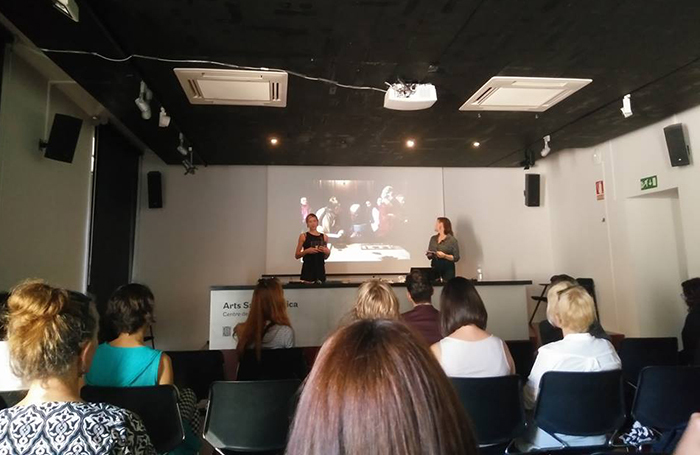 We gave a talk about collaborations and how to survive as contemporary jeweller, about our adventures in the jewellery world and the discoveries and conclusions we have made by collaborating in different creative projects. We also spoke about our crusade towards a future where art jewellery is a well known concept – something that is written about in the daily newspapers and that is part of the general education. Joya is a jewellery art fair taking place every year. Around this arrangement there is a lot of other events connected to jewellery art – lectures, satellite exhibitions and meetings. The theme for the conference 2016 was how contemporary jewellery is organized and presented, and we spoke about our work with promoting contemporary jewellery though different projects. Want us to come and give a talk?